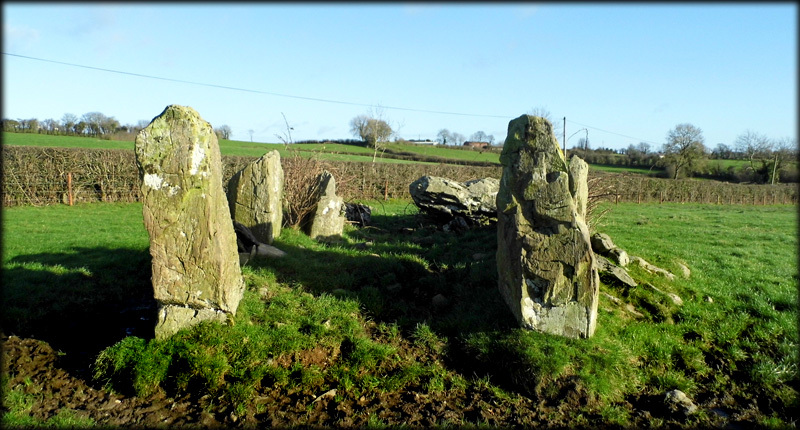 The remains of this rather impressive wedge-tomb, known locally as the giant's grave, can be seen clearly from the road. The orthostats at the front of the narrow gallery are quite large and decrease in height from the front to the back of the monument. 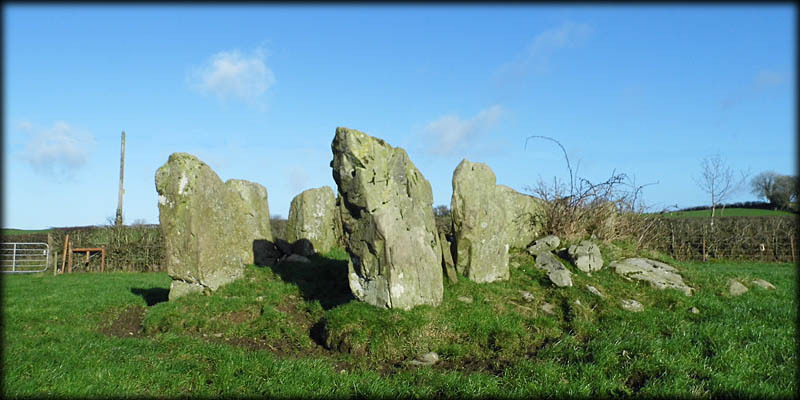 Although this wedge tomb is now roofless it is still well worth a visit. One of the roof-stones can be seen leaning into the gallery in the image. The tomb is aligned in a south-west, north-east direction. Situated: From Shercock in Cavan, head north on the Corbeagh Rd. After 550 metres turn left onto the R178. Go 1.9 kilometres and turn left at the crossroads. The tomb is in a field on your left about 700 metres down this road. Discovery Map 35: H 724 077. Last visit Jan 2019. Photos: Jim Dempsey and José Gutiérrez.